Lock in a great price for HD Parque Cristobal Tenerife – rated 8.9 by recent guests! This accomodation is excellent if you have children. The animation team are amazing and the entertainment is good. 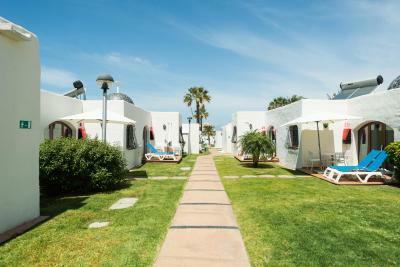 Its located across the road from the beach and in the heart of all the shops and restaurants. Cannot comment on fully inclusive as we were self catering. The bungalows themselves are clean and spacious and were cleaned every day we were there. There is a kettle, hairdryer, toaster, fridge etc. The hotel also offer towels for the pool at €15.00 deposit each where you get it back once you hand in the towels back at end of holiday. Would def book this again had the weather not let us down. Got there got upgraded for free that was a great surprise. Room was very clean beds comfy. Will stay again. Excellent location, staff very friendly across the whole complex. We had a 2 bed apartment which was very clean and large. Breakfast 10e which was really good. Would defo recommend. The staff were really friendly,polite and helpful. The maid,bar staff,reception staff and restaurant staff were all really nice which is unusual especially as they are kept very busy. We travelled in a large family group for a special birthday so it was very important that everything went well. I could not be happier with my booking choice. Very Clean with absolutely excellent food. The staff cant do enough for you. Particulary Lara on reception- what a fabulous young lady. 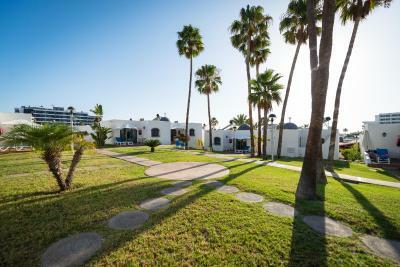 The property was in such a good location, you was approx 5 minutes walk from the beach and 2 mins walk from bars and restaurants. The property was clean and tidy. Staff were helpful and friendly. Great family complex. The beds were comfortable & plenty of hot water. This is the place to go if you are traveling with family, especially if you have young kids, the area is so secure and the pools are as well, in our family of 10 there are 3 children 2-7 years old and they walked between our houses like it was nothing, the pool are and the breakfast is kid friendly and superb as well, the beds are.. well i love my bed at home but for 2 weeks it is okay and the cleanliness is superb as well, the hotel is very well situated close to everything and nice restaurants all around, about 15 minute walk to siam mall and 10 minutes to parque santiago 6 shopping center, i will be coming back again with my family here. perfect for families but if you are here to party i would recommend staying elsewhere since there are mainly families. HD Parque Cristobal Tenerife This rating is a reflection of how the property compares to the industry standard when it comes to price, facilities and services available. It's based on a self-evaluation by the property. Use this rating to help choose your stay! 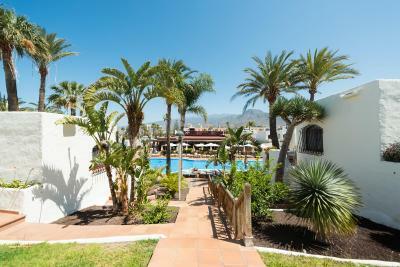 This extensive vacation complex offers spacious bungalow accommodations in the heart of Playa de las Américas, just 650 feet from the beaches of southern Tenerife. Enjoy a relaxing and fun family break in the year-round sunshine of this unique Canary Island with a stay at the Parque Cristóbal Tenerife. Its tropical grounds surround 2 huge outdoor swimming pools for adults, both heated in winter. Children can enjoy themselves in the supervised mini club or their own 2 swimming pools. 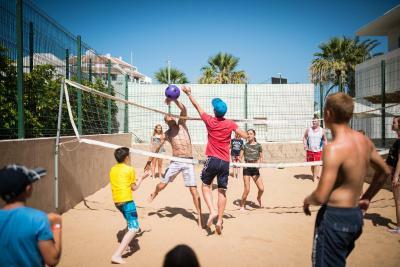 Alternatively, stay active with a game on the tennis court or a session in the gym. 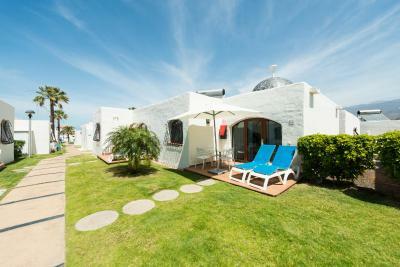 뀐 Located in the top-rated area in Playa de las Americas, this property has an excellent location score of 9.2! 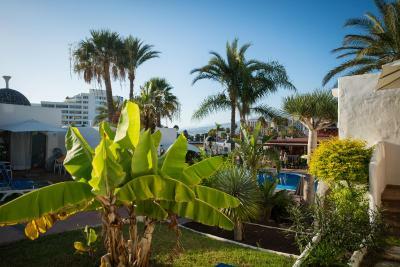 When would you like to stay at HD Parque Cristobal Tenerife? In addition to the facilities already mentioned, it comes with air-conditioning, bathrobe, a bathroom set and beach towels. This contemporary-style 2-bedroom bungalow includes a sofa bed, satellite TV and a safe. The kitchenette is equipped with a fridge, microwave and coffee maker. In addition to the facilities already mentioned, it comes with amenities for babies such as a bottle warmer and baby monitors. Also included is children's furniture and a PlayStation video games. This contemporary-style one-bedroom bungalow includes a sofa bed, satellite TV and a safe. The kitchenette is equipped with a fridge, microwave and coffee maker. This air-conditioned bungalow includes as a feeding bottle warmer and a baby monitor. This air-conditioned bungalow includes a sofa bed, satellite TV and a safe. The bathroom comes with a hairdryer, toiletries, and a bathrobe and slippers. The kitchenette is equipped with a fridge, microwave and coffee maker. This bungalow has a stovetop, seating area and kitchenware. This bungalow features a seating area, microwave and kitchenette. This bungalow has air conditioning, stovetop and toaster. This bungalow features a microwave, kitchenware and satellite TV. This bungalow has air conditioning, kitchenware and stovetop. This bungalow features a microwave, seating area and toaster. This bungalow has a microwave, kitchenware and satellite TV. This bungalow features a seating area, toaster and air conditioning. 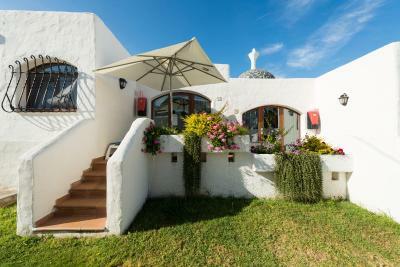 Only 200 metres away from Playa de las Américas, south of Tenerife, and with its direct access to the maritime promenade and entertainment areas. This singular horizontal hotel of totally equipped one and two bedroom bungalows and Kid Suites, is the ideal place for families wishing to share a fun holiday with a complete programme of day and evening animation, which will provide you with a unique experience during your stay at HD Parque Cristobal Tenerife.